Give them the gift that always fits. or choose a future email delivery date. at Nordstrom, Nordstrom Rack, and HauteLook. Gift Cards sent with standard shipping always ship free. 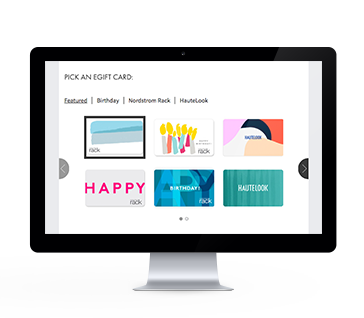 Gift Cards can be redeemed online and in-store at Nordstrom, Nordstrom Rack, and Hautelook. 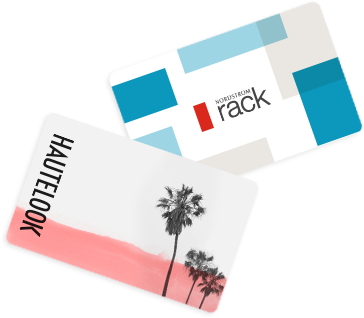 Purchases of Nordstrom Rack gift cards through CashStar can now be made with Nordstrom retail and debit cards and Nordstrom Visa® credit cards.